International cricket is set to make its return to Lucknow after 24 years. The city is ready to host the second game of India-Windies T20 series here at its newly built Ekana Cricket stadium. The city has been a host to a few international games in the past. Lucknow had last hosted an international game in the year 1994 and has been deprived of cricket action since. The history of international cricket in town dates back to 1952. Lucknow has hosted most of its matches at KD Singh 'Babu' stadium. KD Singh 'Babu' stadium, earlier known as 'Central Sports Stadium', is located in the heart of the city- Hazratganj. The stadium is located at the bank of the river Gomti and has suffered damage due to floods on a few occasions. Its poor infrastructure forced organizers to take away the men's cricket matches out of the town. However, the organizing of Women's International cricket matches continued till 2005. The city now has its new cricket ground that boasts of world-class facilities. Ekana Cricket Stadium is located on the outskirts of the city and is a part of Ekana Sports City. 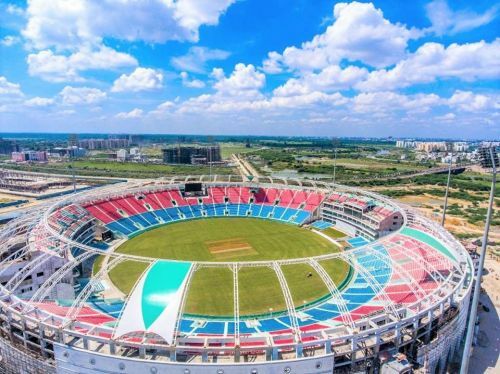 It is the second biggest stadium in the country after Kolkata's Eden Gardens and has a seating capacity of 50,000 people. The ongoing T20 series is the first bilateral T20 series between India and West Indies at home since the ICC T20 World Cup semi-final encounter at Mumbai. As the city gets ready to taste its first T20I game, let's read about the history of International cricket in the city. The first Test match in the city was played between India and Pakistan in 1952 at Lucknow University ground. Pakistan had just received the Test status and was on its tour to India for the first ever Test series. Pakistan started its campaign of 5-match Test series from Delhi. For all Pakistani players except Abdul Kadar and Amir Elahi, it was their debut match. Both the players had represented India before partition. India defeated Pakistan at Feroz Shah Kotla and the action moved to Lucknow. In the second Test, Pakistan defeated India by an innings and 44 runs to register their first ever Test win. However, India later won the series 2-1. Indian team was captained by Lala Amarnath, and players like Polly Umrigar, Vinoo Mankad, Hanif Mohammed were the show-stoppers of the team. It was the first ODI game in the city and it was organized at KD Singh Babu stadium. It was the 14th game of the MRF World Series Tournament (Nehru Cup), where Pakistan beat Sri Lanka by six runs. Imran Khan was adjudged Man of the Match for his knock of 84 runs. The atmosphere at the stadium was electric. In the absence of the Indian team, the local crowd supported Pakistan. The crowd honored their heroes Imran Khan, Wasim Akram and Javed Miandad with incessant cheers. Javed Miandad was very impressed and even lauded the crowd for their spirit. He even expressed that if he ever organizes a benefit match, he would choose Lucknow as the venue for that game. In 1994, KD Singh Babu stadium hosted its first and the city's second Test match. India played against Sri Lanka here in the first match of a 3-match Test series. The city was star-struck by the likes of Kapil Dev, Mohammad Azharuddin, Sanjay Manjarekar, Roshan Mahanama, Muttiah Muralidharan, and Arvinda de Silva. The people were also excited to watch the young face of Indian Cricket- Sachin Tendulkar. And to their wish, Tendulkar scored a wonderful century (142) to provide his team the first-innings lead. He holds the record for the highest run scored at this ground. But it was Navjot Singh Sidhu who gave this city its beautiful memories that are still fondly remembered. He too hit a century (124) but the highlights of his innings were the massive sixes. He struck eight sixes in his innings (the record for most sixes in a Test innings by an Indian) to bring the crowd to their feet. Anil Kumble was the pick of the Indian bowlers and dismissed 11 batsmen in the game to claim the 'Man of the Match'. India won the match by an innings and 119 runs. The venue has hosted Test teams from India, Australia, England, West Indies, and New Zealand. In total, 13 Test matches have been played at this venue. 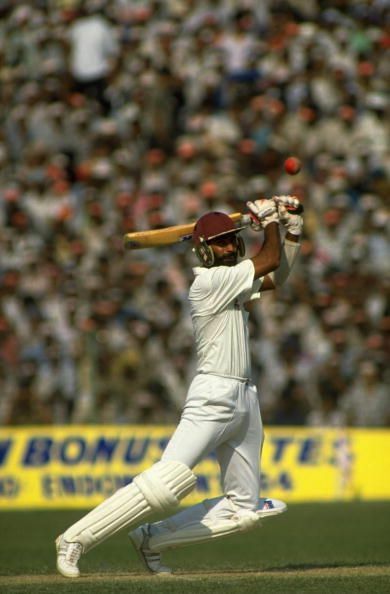 The first Test was played between India and West Indies in 1976 and the last Test was played on 14 January 2002 between India and England. Both the matches had ended in a draw. The venue has been a host to 8 ODI games between 1995-2005. The first ODI was played on 5 December 1995 between India and England. The hosts registered a 9-wicket win over England. In the last match that was played on 1 December 2005, the Indian women's team registered a 4-wicket win over the England team. The Indian team was led by Mitali Raj and Anjum Chopra was adjudged Player of the Match for her knock of 71 runs. The ground has also been host to various domestic matches of Ranji trophy and Duleep trophy over the years. It has also hosted several editions of the oldest summer cricket tournament of the country- Sheesh Mahal Trophy.